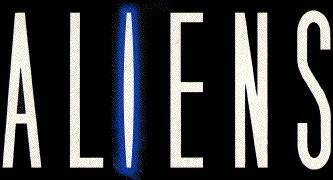 As per SEGA’s recent strategy for the West, the company will be publishing more games using the Aliens IP. It was revealed a while back that The Creative Assembly would be making a game but today we finally have the first details as to what the game will be. Kotaku have discovered that The Creative Assembly will create a game called Alien: Isolation. The new game will be a FPS due for release in 2014 and will be a cross-generational title. The game is also supposed to take the form of a stealth/horror title and play similarly to games like Bioshock and Dishonored. You also play as Amanda Ripley; Ellen Ripley’s daughter. SEGA are hoping to make up for the bad reception of Aliens: Colonial Marines by giving The Creative Assembly plenty of time to develop the title and have already delayed the game’s announcement from a proposed E3 reveal. This entry was posted on Tuesday, October 22nd, 2013 at 11:41	and is filed under News. You can follow any responses to this entry through the RSS 2.0 feed. Both comments and pings are currently closed.